Korean BBQ is a cuisine I haven’t really had in the past, but recently I’ve really been interested in trying it and exploring the cuisine. 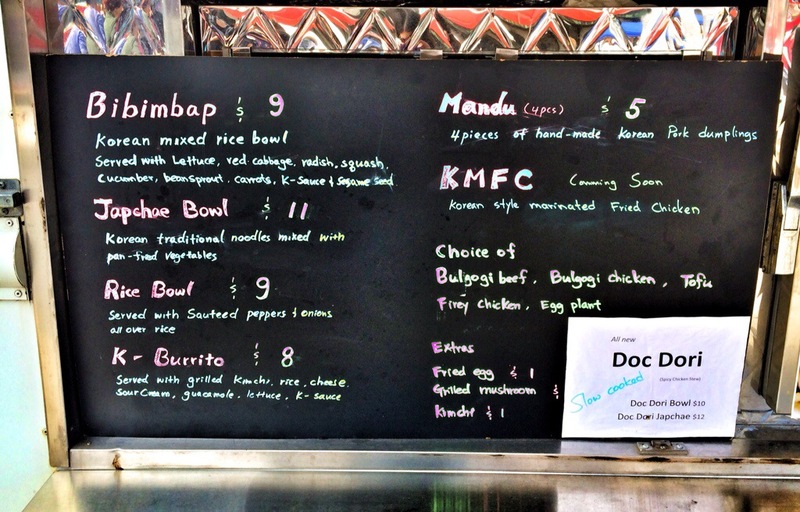 Recently I was out and about in the city and spotted the Koco Food Truck and knew this was my chance to try Korean BBQ. While the truck may not have the flashiest design to draw an eater in, don’t let that deter you from a wonderful meal. This was easily the best street food I’ve had to date. The menu only had six options but each sounded great and I was excited for my meal to be ready. I decided to try the Bibimbap because I knew it was a signature Korean dish and I am thankful that I did. 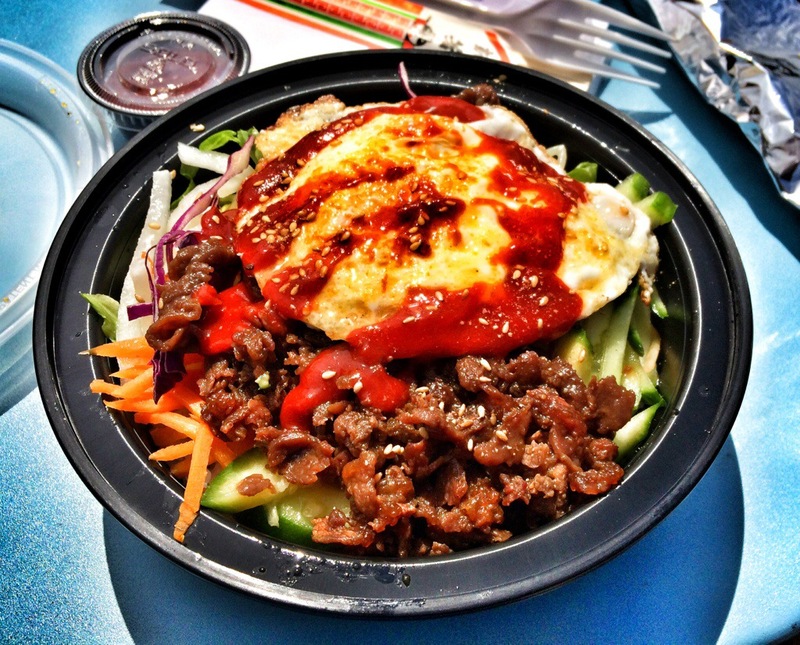 This rice bowl was loaded with veggies, bulgogi beef, a fried egg and then drizzled with K-Sauce which is God’s gift to taste buds everywhere. The bowl also came with a side of extra sauce which made the amazing dish even better. The sauce was sweet with a little bit of heat and if it was sold in jars, I would have bought several by now. My friend ordered the K-Burrito and she was equally as satisfied as I was. 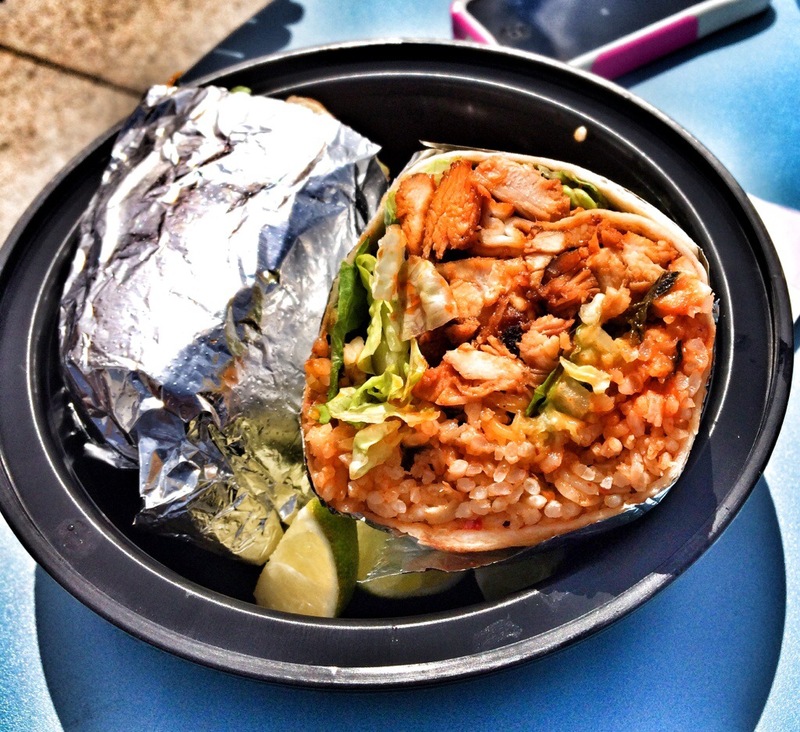 Her burrito came with rice, cheese, sour cream bulgogi chicken, guacamole, lettuce and kimchee. My friend doesn’t love spicy food as much as I do so she was less fond of the K-Sauce but she still thought it was delicious. If you’re craving Korean BBQ stalk Koco on Facebook to find out their location for the day. Trust me, you won’t be disappointed! The Koco truck can be found by following them on Facebook because that’s where they share their daily locations.